Surgical intervention may be needed to diagnose or cure a specific disease process, correct a deformity, restore a functional process or reduce the level of dysfunction. Although surgery is generally elective or pre-planned, potentially life-threatening conditions can arise, requiring emergency intervention. Nurses have a variety of roles and functions associated with the patient’s surgical management. 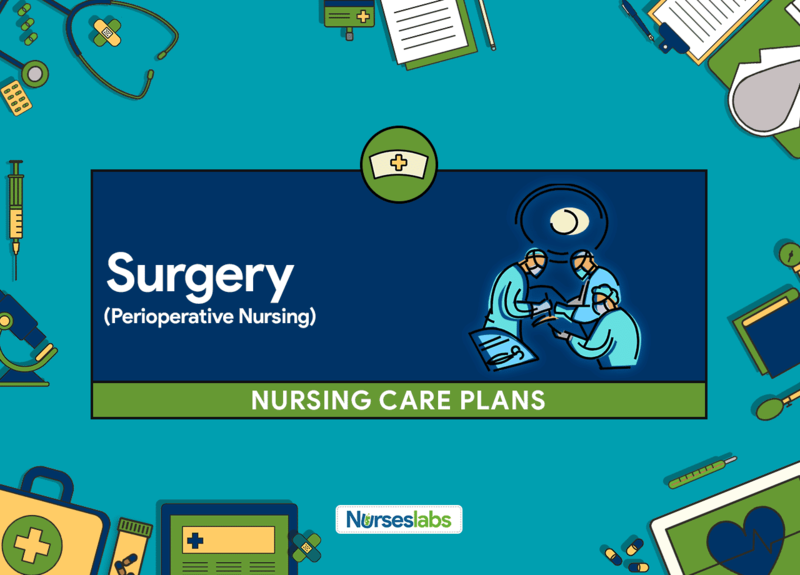 Nurses provide care of a client before, during, and after surgical operation, this is collectively called as Perioperative Nursing. It is a specialized nursing area wherein a registered nurse works as a team member of other surgical health care professionals. Absence or limitation of preoperative preparation and teaching increases the need for postoperative support in addition to managing underlying medical conditions. Verbalize understanding of disease process/perioperative process and postoperative expectations. Assess patient’s level of understanding. Facilitates planning of preoperative teaching program, identifies content needs. Review specific pathology and anticipated surgical procedure. Verify that appropriate consent has been signed. Provides knowledge base from which patient can make informed therapy choices and consent for procedure, and presents opportunity to clarify misconceptions. Use resource teaching materials, audiovisuals as available. Specifically designed materials can facilitate the patient’s learning. Preoperative or postoperative procedures and expectations, urinary and bowel changes, dietary considerations, activity levels/ transfers, respiratory/ cardiovascular exercises; anticipated IV lines and tubes (nasogastric [NG] tubes, drains, and catheters). Enhances patient’s understanding or control and can relieve stress related to the unknown or unexpected. Preoperative instructions: NPO time, shower or skin preparation, which routine medications to take and hold, prophylactic antibiotics, or anticoagulants, anesthesia premedication. Helps reduce the possibility of postoperative complications and promotes a rapid return to normal body function. Note: In some instances, liquids and medications are allowed up to 2 hr before scheduled procedure. Intraoperative patient safety: not crossing legs during procedures performed under local or light anesthesia. Reduced risk of complications or untoward outcomes, such as injury to the peroneal and tibial nerves with postoperative pain in the calves and feet. Expected or transient reactions (low backache, localized numbness and reddening or skin indentations). Minor effects of immobilization and positioning should resolve in 24 hr. If they persist, medical evaluation is required. Inform patient or SO about itinerary, physician/SO communications. Logistical information about operating room (OR) schedule and locations (recovery room, postoperative room assignment), as well as where and when the surgeon will communicate with SO relieves stress and mis-communications, preventing confusion and doubt over patient’s well-being. Discuss individual postoperative pain management plan. Identify misconceptions patient may have and provide appropriate information. Increases likelihood of successful pain management. Some patients may expect to be pain-free or fear becoming addicted to narcotic agents. Provide opportunity to practice coughing, deep-breathing, and muscular exercises. Enhances learning and continuation of activity postoperatively. Fear: Response to perceived threat that is consciously recognized as a danger. Acknowledge feelings and identify healthy ways to deal with them. Report decreased fear and anxiety reduced to a manageable level. Provide preoperative education, including visit with OR personnel before surgery when possible. Discuss anticipated things that may concern patient: masks, lights, IVs, BP cuff, electrodes, bovie pad, feel of oxygen cannula or mask on nose or face, autoclave and suction noises, child crying. Can provide reassurance and alleviate patient’s anxiety, as well as provide information for formulating intraoperative care. Acknowledges that foreign environment may be frightening, alleviates associated fears. Inform patient or SO of nurse’s intraoperative advocate role. Develops trust and rapport, decreasing fear of loss of control in a foreign environment. Identify fear levels that may necessitate postponement of surgical procedure. Overwhelming or persistent fears result in excessive stress reaction, potentiating risk of adverse reaction to procedure and/or anesthetic agents. Validate source of fear. Provide accurate factual information. Identification of specific fear helps patient deal realistically with it. Patient may have misinterpreted preoperative information or have misinformation regarding surgery. Fears regarding previous experiences of self or family may be resolved. Note expressions of distress and feelings of helplessness, preoccupation with anticipated change or loss, choked feelings. Patient may already be grieving for the loss represented by the anticipated surgical procedure, diagnosis or prognosis of illness. Tell patient anticipating local or spinal anesthesia that drowsiness and sleep occurs, that more sedation may be requested and will be given if needed, and that surgical drapes will block view of the operative field. Reduces concerns that patient may “see” the procedure. Introduce staff at time of transfer to operating suite. Establishes rapport and psychological comfort. Compare surgery schedule, patient identification band, chart, and signed operative consent for surgical procedure. Provides for positive identification, reducing fear that wrong procedure may be done. Prevent unnecessary body exposure during transfer and in OR suite. Patients are concerned about loss of dignity and inability to exercise control. Give simple, concise directions and explanations to sedated patient. Review environmental concerns as needed. Impairment of thought processes makes it difficult for patient to understand lengthy instructions. Control external stimuli. Extraneous noises and commotion may accelerate anxiety. Refer to pastoral spiritual care, psychiatric nurse, clinical specialist, psychiatric counseling if indicated. May be desired or required for patient to deal with fear, especially concerning life-threatening conditions, serious and/or high-risk procedures. Discuss postponement or cancellation of surgery with physician, anesthesiologist, patient, and family as appropriate. May be necessary if overwhelming fears are not reduced or resolved. Used to promote sleep the evening before surgery; may enhance coping abilities. May be provided in the outpatient admitting or preoperative holding area to reduce nervousness and provide comfort. Note: Respiratory depression and/or bradycardia may occur, necessitating prompt intervention. Be free of injury related to perioperative disorientation. Be free of untoward skin/tissue injury or changes lasting beyond 24–48 hr following procedure. Report resolution of localized numbness, tingling, or changes in sensation related to positioning within 24–48 hr as appropriate. Note anticipated length of procedure and customary position. Be aware of potential complications. Supine position may cause low back pain and skin pressure at heels, elbows, or sacrum; lateral chest position can cause shoulder and neck pain, plus eye and ear injury on the patient’s downside. Review patient’s history, noting age, weight, height, nutritional status, physical limitation and preexisting conditions that may affect choice of position and skin or tissue integrity during surgery. Elderly persons, lack of subcutaneous padding, arthritis, diabetes, obesity, abdominal stoma, hydration status and temperature are some factors. Stabilize both patient cart and OR table when transferring patient to and from OR table, using an adequate number of personnel for transfer and support of extremities. Unstabilized cart or table can separate, causing patient to fall. Both side rails must be in the down position for caregiver(s) to assist patient transfer and prevent loss of balance. Anticipate movement of extraneous lines and tubes during the transfer and secure or guide them into position. Prevents undue tension and dislocation of IV lines, NG tubes, catheters, and chest tubes; maintains gravity drainage when appropriate. Secure patient on OR table with safety belt as appropriate, explaining necessity for restraint. OR tables and arm boards are narrow, placing patient at risk for injury, especially during fasciculation. Patient may become resistive or combative when sedated or emerging from anesthesia, furthering potential for injury. Protect body from contact with metal parts of the operating table. Reduces risk of electrical injury. Prepare equipment and padding for required position, according to operative procedure and patient’s specific needs. Pay special attention to pressure points of bony prominences (arms, ankles) and neurovascular pressure points (breasts, knees). Depending on individual patient’s size, weight, and preexisting conditions, extra padding materials may be required to protect bony prominences, prevent circulatory compromise and nerve pressure, or allow for optimum chest expansion for ventilation. Position extremities so they may be periodically checked for safety, circulation, nerve pressure, and alignment. Monitor peripheral pulses, skin color and temperature. Prevents accidental trauma, hands, fingers, and toes could inadvertently be scraped, pinched, or amputated by moving table attachments; positional pressure of brachial plexus, peroneal, and ulnar nerves can cause serious problems with extremities; prolonged plantar flexion may result in foot drop. Place legs in stirrups simultaneously (when lithotomy position used), adjusting stirrup height to patient’s legs, maintaining symmetrical position. Pad popliteal space and heels and/or feet as indicated. Prevents muscle strain; reduces risk of hip dislocation in elderly patients. Padding helps prevent peroneal and tibial nerve damage. Note: Prolonged positioning in stirrups may lead to compartment syndrome in calf muscles. Provide footboard and/or elevate drapes off toes. Avoid and monitor placement of equipment, instrumentation on trunk and extremities during procedure. Continuous pressure may cause neural, circulatory, and skin integrity disruption. Reposition slowly at transfer from table and in bed (especially halothane-anesthetized patient). Myocardial depressant effect of various agents increases risk of hypotension and/or bradycardia. Determine specific postoperative positioning guidelines, elevation of head of bed following spinal anesthesia, turn to unoperated side following pneumonectomy. Reduces risk of postoperative complications, e.g., headache associated with migration of spinal anesthesia, or loss of maximal respiratory effort. Recommend position changes to anesthesiologist and/or surgeon as appropriate. Close attention to proper positioning can prevent muscle strain, nerve damage, circulatory compromise, and undue pressure on skin and/or bony prominences. Although the anesthesiologist is responsible for positioning, the nurse may be able to see and have more time to note patient needs, and provide assistance. Modify environment as indicated to enhance safety and use resources appropriately. Remove dentures, partial plates or bridges preoperatively per protocol. Inform anesthesiologist of problems with natural teeth or loose teeth. Foreign bodies may be aspirated during endotracheal intubation or extubation. Remove prosthetics, other devices preoperatively or after induction, depending on sensory or perceptual alterations and mobility impairment. Contact lenses may cause corneal abrasions while under anesthesia; eyeglasses and hearing aids are obstructive and may break; however, patients may feel more in control of environment if hearing and visual aids are left on as long as possible. Artificial limbs may be damaged and skin integrity impaired if left on. Remove jewelry preoperatively or tape over as appropriate. Metals conduct electrical current and provide an electrocautery hazard. In addition, loss or damage to patient’s personal property can easily occur in the foreign environment. Note: In some cases (e.g., arthritic knuckles), it may not be possible to remove rings without cutting them off. In this situation, applying tape over the ring may prevent patient from “catching” ring and prevent loss of stone or damage to finger. Verify patient identity and scheduled operative procedure by comparing patient chart, armband, and surgical schedule. Verbally ascertain correct name, procedure, operative site, and physician. Assures correct patient, procedure, and appropriate extremity or side. Document allergies, including risk for adverse reaction to latex, tape, and prep solutions. Reduces risk for allergic responses that may impair skin integrity or lead to life-threatening systemic reactions. Give simple and concise directions to the sedated patient. Impairment of thought process makes it difficult for patient to understand lengthy directions. Prevent pooling of prep solutions under and around patient. Antiseptic solutions may chemically burn skin, as well as conduct electricity. Assist with induction as needed: stand by to apply cricoid pressure during intubation or stabilize position during lumbar puncture for spinal block. Facilitates safe administration of anesthesia. Ascertain electrical safety of equipment used in surgical procedure: intact cords, grounds, medical engineering verification labels. Malfunction of equipment can occur during the operative procedure, causing not only delays and unnecessary anesthesia but also injury or death, short circuits, faulty grounds, laser malfunctions, or laser misalignment. Periodic electrical safety checks are imperative for all OR equipment. Place dispersive electrode (electrocautery pad) over greatest available muscle mass, ensuring its contact. Provides a ground for maximum conductivity to prevent electrical burns. Confirm and document correct sponge, instrument, needle, and blade counts. Foreign bodies remaining in body cavities at closure not only cause inflammation, infection, perforation, and abscess formation, disastrous complications that lead to death. Verify credentials of laser operators for specific wavelength laser required for particular procedure. Because of the potential hazards of laser, physician and equipment operators must be certified in the use and safety requirements of specific wavelength laser and procedure, open, endoscopic, abdominal, laryngeal, intrauterine. Confirm presence of fire extinguishers and wet fire smothering materials when lasers are used intraoperatively. Laser beam may inadvertently contact and ignite combustibles outside of surgical field: drapes, sponges. Apply patient eye protection before laser activation. Eye protection for specific laser wavelength must be used to prevent injury. Protect surrounding skin and anatomy appropriately, wet towels, sponges, dams, cottonoids. Prevents inadvertent skin integrity disruption, hair ignition, and adjacent anatomy injury in area of laser beam use. Handle, label, and document specimens appropriately, ensuring proper medium and transport for tests required. Proper identification of specimens to patient is imperative. Frozen sections, preserved or fresh examination, and cultures all have different requirements. OR nurse advocate must be knowledgeable of specific hospital laboratory requirements for validity of examination. Monitor intake and output (I&O) during procedure. Ascertain that infusion pumps are functioning accurately. Potential for fluid volume deficit or excess exists, affecting safety of anesthesia, organ function, and patient well-being. Administer IV fluids, blood, blood components, and medications as indicated. Helps maintain homeostasis and adequate level of sedation and/or muscle relaxation to produce optimal surgical outcome. Collect blood intraoperatively as appropriate. Blood lost intraoperatively may be collected, filtered, and reinfused either intraoperatively or postoperatively. Note: Alternatively red blood cell (RBC) production may be increased by the administration of epoetin (EPO), reducing the need for blood transfusion whether autologous or donated. Administer antacids, H2 blocker, preoperatively as indicated. Neutralizes gastric acidity and may reduce risk of aspiration or severity of pneumonia should aspiration occur, especially in obese or pregnant patients in whom there is an 85% risk of mortality with aspiration. Limit or avoid use of epinephrine to Fluothane-anesthetized patient. Fluothane sensitizes the myocardium to catecholamines and may produce dysrhythmias. Identify individual risk factors and interventions to reduce potential for infection. Adhere to facility infection control, sterilization, and aseptic policies and procedures. Established mechanisms designed to prevent infection. Verify sterility of all manufacturers’ items. Prepackaged items may appear to be sterile; however, each item must be scrutinized for manufacturer’s statement of sterility, breaks in packaging, environmental effect on package, and delivery techniques. Package sterilization and expiration dates, lot/serial numbers must be documented on implant items for further follow-up if necessary. Review laboratory studies for possibility of systemic infections. Increased WBC count may indicate ongoing infection, which the operative procedure will alleviate (appendicitis, abscess, inflammation from trauma); or presence of systemic or organ infection, which may contraindicate or impact surgical procedure and/or anesthesia (pneumonia, kidney infection). Verify that preoperative skin, vaginal, and bowel cleansing procedures have been done as needed depending on specific surgical procedure. Cleansing reduces bacterial counts on the skin, vaginal mucosa, and alimentary tract. Prepare operative site according to specific procedures. Minimizes bacterial counts at operative site. Examine skin for breaks or irritation, signs of infection. Disruptions of skin integrity at or near the operative site are sources of contamination to the wound. Careful shaving or clipping is imperative to prevent abrasions and nicks in the skin. Maintain dependent gravity drainage of indwelling catheters, tubes, and/or positive pressure of parenteral or irrigation lines. Prevents stasis and reflux of body fluids. Identify breaks in aseptic technique and resolve immediately on occurrence. Contamination by environmental or personnel contact renders the sterile field unsterile, thereby increasing the risk of infection. Contain contaminated fluids and materials in specific site in operating room suite, and dispose of according to hospital protocol. Containment of blood and body fluids, tissue, and materials in contact with an infected wound. Patient will prevent spread of infection to environment and/or other patients or personnel. Apply sterile dressing. Prevents environmental contamination of fresh wound. Provide copious wound irrigation, e.g., saline, water, antibiotic, or antiseptic. May be used intraoperatively to reduce bacterial counts at the site and cleanse the wound of debris, e.g., bone, ischemic tissue, bowel contaminants, toxins. Obtain specimens for cultures or Gram stain. Immediate identification of type of infective organism by Gram stain allows prompt treatment, while more specific identification by cultures can be obtained in hours or days. Administer antibiotics as indicated. May be given prophylactically for suspected infection or contamination. Risk for Imbalanced Body Temperature: The state in which an individual is at risk of failing to maintain body temperature within normal range (36.5° to 37.5°C [98° to 99.5°F]). Maintain body temperature within normal range. Note preoperative temperature. Used as baseline for monitoring intraoperative temperature. Preoperative temperature elevations are indicative of disease process: appendicitis, abscess, or systemic disease requiring treatment preoperatively, perioperatively, and possibly postoperatively. Note: Effects of aging on hypothalamus may decrease fever response to infection. Assess environmental temperature and modify as needed: providing warming and cooling blankets, increasing room temperature. May assist in maintaining or stabilizing patient’s temperature. Cover skin areas outside of operative field. Heat losses will occur as skin (legs, arms, head) is exposed to cool environment. Provide cooling measures for patient with preoperative temperature elevations. Cool irrigations and exposure of skin surfaces to air may be required to decrease temperature. Note rapid temperature elevation or persistent high fever and treat promptly per protocol. Malignant hyperthermia must be recognized and treated promptly to avoid serious complications and/or death. Increase ambient room temperature (e.g., to 78°F or 80°F) at conclusion of procedure. Helps limit patient heat loss when drapes are removed and patient is prepared for transfer. Apply warming blankets at emergence from anesthesia. Inhalation anesthetics depress the hypothalamus, resulting in poor body temperature regulation. Monitor temperature throughout intraoperative phase. Continuous warm or cool humidified inhalation anesthetics are used to maintain humidity and temperature balance within the tracheobronchial tree. Temperature elevation and fever may indicate adverse response to anesthesia. Note: Use of atropine or scopolamine may further increase temperature. Provide iced saline as indicated. Lavage of body cavity with iced saline may help reduce hyperthermic responses. Obtain dantrolene (Dantrium) for IV administration. Immediate action to control temperature is necessary to prevent death from malignant hyperthermia. Establish a normal/effective respiratory pattern free of cyanosis or other signs of hypoxia. Maintain patient airway by head tilt, jaw hyperextension, oral pharyngeal airway. Prevents airway obstruction. Auscultate breath sounds. Listen for gurgling, wheezing, crowing, and/or silence after extubation. Lack of breath sounds is indicative of obstruction by mucus or tongue and may be corrected by positioning and/or suctioning. Diminished breath sounds suggest atelectasis. Wheezing indicates bronchospasm, whereas crowing or silence reflects partial-to-total laryngospasm. Observe respiratory rate and depth, chest expansion, use of accessory muscles, retraction or flaring of nostrils, skin color; note airflow. Ascertains effectiveness of respirations immediately so corrective measures can be initiated. Monitor vital signs continuously. Increased respirations, tachycardia, and/or bradycardia suggests hypoxia. Observe for return of muscle function, especially respiratory. After administration of intraoperative muscle relaxants, return of muscle function occurs first to the diaphragm, intercostals, and larynx; followed by large muscle groups, neck, shoulders, and abdominal muscles; then by midsize muscles, tongue, pharynx, extensors, and flexors; and finally by eyes, mouth, face, and fingers. Initiate “stir-up” (turn, cough, deep breathe) regimen as soon as patient is reactive and continue in the postoperative period. Active deep ventilation inflates alveoli, breaks up secretions, increases O2 transfer, and removes anesthetic gases; coughing enhances removal of secretions from the pulmonary system. Note: Respiratory muscles weaken and atrophy with age, possibly hampering elderly patient’s ability to cough or deep-breathe effectively. Observe for excessive somnolence. Narcotic-induced respiratory depression or presence of muscle relaxants in the body may be cyclical in recurrence, creating sine-wave pattern of depression and re-emergence from anesthesia. In addition, thiopental sodium (Pentothal) is absorbed in the fatty tissues, and, as circulation improves, it may be redistributed throughout the bloodstream. Elevate head of bed as appropriate. Get out of bed as soon as possible. Promotes maximal expansion of lungs, decreasing risk of pulmonary complications. Suction as necessary. Airway obstruction can occur because of blood or mucus in throat or trachea. Administer supplemental O2 as indicated. Maximizes oxygen for uptake to bind with Hb in place of anesthetic gases to enhance removal of inhalation agents. Administer IV medications: naloxone (Narcan) or doxapram (Dopram). Narcan reverses narcotic-induced central nervous system (CNS) depression and Dopram stimulates respiratory muscles. The effects of both drugs are cyclic in nature and respiratory depression may return. Provide and maintain ventilator assistance. Depending on cause of respiratory depression or type of surgery (pulmonary, extensive abdominal, cardiac), endotracheal tube (ET) may be left in place and mechanical ventilation maintained for a time. Assist with use of respiratory aids: incentive spirometer. Maximal respiratory efforts reduce potential for atelectasis and infection. Disturbed Sensory Perception: Change in the amount or patterning of incoming stimuli accompanied by a diminished, exaggerated, distorted, or impaired response to such stimuli. Disturbed Thought Process: A state in which individual experiences a disruption in cognitive operations and activities. Regain usual level of consciousness/mentation. Recognize limitations and seek assistance as necessary. Reorient patient continuously when emerging from anesthesia; confirm that surgery is completed. As patient regains consciousness, support and assurance will help alleviate anxiety. Speak in normal, clear voice without shouting, being aware of what you are saying. Minimize discussion of negatives within patient’s hearing. Explain procedures, even if patient does not seem aware. The nurse cannot tell when patient is aware, but it is thought that the sense of hearing returns before patient appears fully awake, so it is important not to say things that may be misinterpreted. Providing information helps patient preserve dignity and prepare for activity. Evaluate sensation and/or movement of extremities and trunk as appropriate. Return of function following local or spinal nerve blocks depends on type or amount of agent used and duration of procedure. Use bedrail padding, restraints as necessary. Provides for patient safety during emergence state. Prevents injury to head and extremities if patient becomes combative while disoriented. Secure parenteral lines, ET tube, catheters, if present, and check for patency. Disoriented patient may pull on lines and drainage systems, disconnecting or kinking them. Maintain quiet, calm environment. External stimuli, such as noise, lights, touch, may cause psychic aberrations when dissociative anesthetics (ketamine) have been administered. Investigate changes in sensorium. Confusion, especially in elderly patients, may reflect drug interactions, hypoxia, anxiety, pain, electrolyte imbalances, or fear. Observe for hallucinations, delusions, depression, or an excited state. May develop following trauma and indicate delirium, or may reflect “sundowner’s syndrome” in elderly patient. In patient who has used alcohol to excess, may suggest impending delirium tremens. Reassess sensory or motor function and cognition thoroughly before discharge, as indicated. Ambulatory surgical patient must be able to care for self with the help of SO (if available) to prevent personal injury after discharge. Evaluate need for extended stay in postoperative recovery area or need for additional nursing care before discharge as appropriate. Disorientation may persist, and SO may not be able to protect the patient at home. Risk for Deficient Fluid Volume: At risk for experiencing vascular, cellular, or intracellular dehydration. Demonstrate adequate fluid balance, as evidenced by stable vital signs, palpable pulses of good quality, normal skin turgor, moist mucous membranes, and individually appropriate urinary output. Measure and record I&O (including tubes and drains). Calculate urine specific gravity as appropriate. Review intraoperative record. Accurate documentation helps identify fluid losses or replacement needs and influences choice of interventions. Note: Ability to concentrate urine declines with age, increasing renal losses despite general fluid deficit. Assess urinary output specifically for type of operative procedure done. May be decreased or absent after procedures on the genitourinary system and/or adjacent structures (ureteroplasty, ureterolithotomy, abdominal or vaginal hysterectomy), indicating malfunction or obstruction of the urinary system. Provide voiding assistance measures as needed: privacy, sitting position, running water in sink, pouring warm water over perineum. Promotes relaxation of perineal muscles and may facilitate voiding efforts. Monitor vital signs noting changes in blood pressure, heart rate and rhythm, and respirations. Calculate pulse pressure. Hypotension, tachycardia, increased respirations may indicate fluid deficit dehydration and/or hypovolemia. Although a drop in blood pressure is generally a late sign of fluid deficit (hemorrhagic loss), widening of the pulse pressure may occur early, followed by narrowing as bleeding continues and systolic BP begins to fall. Note presence of nausea and/or vomiting. Women, obese patients, and those prone to motion sickness have a higher risk of postoperative nausea and/or vomiting. In addition, the longer the duration of anesthesia, the greater the risk for nausea. Note: Nausea occurring during first 12–24 hr postoperatively is frequently related to anesthesia (including regional anesthesia). Nausea persisting more than 3 days postoperatively may be related to the choice of narcotic for pain control or other drug therapy. Inspect dressings, drainage devices at regular intervals. Assess wound for swelling. Excessive bleeding can lead to hypovolemia and/or circulatory collapse. Local swelling may indicate hematoma formation or hemorrhage. Note: Bleeding into a cavity (retroperitoneal) may be hidden and only diagnosed via vital sign depression, patient reports of pressure sensation in affected area. Monitor skin temperature, palpate peripheral pulses. Cool or clammy skin, weak pulses indicate decreased peripheral circulation and need for additional fluid replacement. Administer parenteral fluids, blood products (including autologous collection), and/or plasma expanders as indicated. Increase IV rate if needed. Replaces documented fluid loss. Timely replacement of circulating volume decreases potential for complications of deficit, e.g., electrolyte imbalance, dehydration, cardiovascular collapse. Note: Increased volume may be required initially to support circulating volume and prevent hypotension because of decreased vasomotor tone following Fluothane administration. Insert and maintain urinary catheter with or without urimeter as necessary. Provides mechanism for accurate monitoring of urinary output. Resume oral intake gradually as indicated. Oral intake depends on return of gastrointestinal (GI) function. Administer antiemetics as appropriate. Relieves nausea and/or vomiting, which may impair intake and add to fluid losses. Note: Naloxone (Narcan) may relieve nausea related to use of regional anesthesthetic agents: morphine (Duramorph), fentanyl citrate (Sublimaze). Monitor laboratory studies: Hb/ Hct, electrolytes. Compare preoperative and postoperative blood studies. Indicators of hydration and/or circulating volume. Preoperative anemia and/or low Hct combined with unreplaced fluid losses intraoperatively will further potentiate deficit. Appear relaxed, able to rest/sleep and participate in activities appropriately. Note patient’s age, weight, coexisting medical or psychological conditions, idiosyncratic sensitivity to analgesics, and intraoperative course. Approach to postoperative pain management is based on multiple variable factors. Review intraoperative or recovery room record for type of anesthesia and medications previously administered. Presence of narcotics and droperidol in system potentiates narcotic analgesia, whereas patients anesthetized with Fluothane and Ethrane have no residual analgesic effects. In addition, intraoperative local/ regional blocks have varying duration, e.g., 1–2 hr for regionals or up to 2–6 hr for locals. Evaluate pain regularly (every 2 hrs noting characteristics, location, and intensity (0–10 scale). Emphasize patient’s responsibility for reporting pain/ relief of pain completely. Provides information about need for or effectiveness of interventions. Note: It may not always be possible to eliminate pain; however, analgesics should reduce pain to a tolerable level. A frontal and/or occipital headache may develop 24–72 hr following spinal anesthesia, necessitating recumbent position, increased fluid intake, and notification of the anesthesiologist. Note presence of anxiety or fear, and relate with nature of and preparation for procedure. Concern about the unknown (e.g., outcome of a biopsy) and/or inadequate preparation (e.g., emergency appendectomy) can heighten patient’s perception of pain. Assess vital signs, noting tachycardia, hypertension, and increased respiration, even if patient denies pain. Changes in these vital signs often indicate acute pain and discomfort. Note: Some patients may have a slightly lowered BP, which returns to normal range after pain relief is achieved. Assess causes of possible discomfort other than operative procedure. Discomfort can be caused or aggravated by presence of non-patent indwelling catheters, NG tube, parenteral lines (bladder pain, gastric fluid and gas accumulation, and infiltration of IV fluids or medications). Provide information about transitory nature of discomfort, as appropriate. Understanding the cause of the discomfort (e.g., sore muscles from administration of succinylcholine may persist up to 48 hr postoperatively; sinus headache associated with nitrous oxide and sore throat due to intubation are transitory) provides emotional reassurance. Note: Paresthesia of body parts suggest nerve injury. Symptoms may last hours or months and require additional evaluation. Reposition as indicated: semi-Fowler’s; lateral Sims’. May relieve pain and enhance circulation. Semi-Fowler’s position relieves abdominal muscle tension and arthritic back muscle tension, whereas lateral Sims’ will relieve dorsal pressures. Provide additional comfort measures: backrub, heat or cold applications. Improves circulation, reduces muscle tension and anxiety associated with pain. Enhances sense of well-being. Encourage use of relaxation techniques: deep-breathing exercises, guided imagery, visualization, music. Relieves muscle and emotional tension; enhances sense of control and may improve coping abilities. Provide regular oral care, occasional ice chips or sips of fluids as tolerated. Reduces discomfort associated with dry mucous membranes due to anesthetic agents, oral restrictions. Document effectiveness and side and/or adverse effects of analgesia. Respirations may decrease on administration of narcotic, and synergistic effects with anesthetic agents may occur. Note: Migration of epidural analgesia toward head (cephalad diffusion) may cause respiratory depression or excessive sedation. Analgesics IV (after reviewing anesthesia record for contraindications and/or presence of agents that may potentiate analgesia); provide around-the-clock analgesia with intermittent rescue doses; Analgesics given IV reach the pain centers immediately, providing more effective relief with small doses of medication. IM administration takes longer, and its effectiveness depends on absorption rates and circulation. Note: Narcotic dosage should be reduced by one-fourth to one-third after use of fentanyl (Innovar) or droperidol (Inapsine) to prevent profound tranquilization during first 10 hr postoperatively. Current research supports need to administer analgesics around the clock initially to prevent rather than merely treat pain. Patient-controlled analgesia (PCA) Use of PCA necessitates detailed patient instruction. PCA must be monitored closely but is considered very effective in managing acute postoperative pain with smaller amounts of narcotic and increased patient satisfaction. Local anesthetics: epidural block or infusion; Analgesics may be injected into the operative site, or nerves to the site may be kept blocked in the immediate postoperative phase to prevent severe pain. Note: Continuous epidural infusions may be used for 1–5 days following procedures that are known to cause severe pain (certain types of thoracic or abdominal surgery). NSAIDs: aspirin, diflunisal (Dolobid), naproxen (Anaprox). Useful for mild to moderate pain or as adjuncts to opioid therapy when pain is moderate to severe. Allows for a lower dosage of narcotics, reducing potential for side effects. Monitor use and/or effectiveness of transcutaneous electrical nerve stimulation (TENS). TENS may be useful in reducing pain and amount of medication required postoperatively. Impaired Skin Integrity: Altered epidermis and/or dermis. Demonstrate behaviors/techniques to promote healing and to prevent complications. Reinforce initial dressing and change as indicated. Use strict aseptic techniques. Protects wound from mechanical injury and contamination. Prevents accumulation of fluids that may cause excoriation. Gently remove tape (in direction of hair growth) and dressings when changing. Reduces risk of skin trauma and disruption of wound. Apply skin sealants or barriers before tape if needed. Use hypoallergenic tape or Montgomery straps or elastic netting for dressings requiring frequent changing. Reduces potential for skin trauma and/or abrasions and provides additional protection for delicate skin or tissues. Check tension of dressings. Apply tape at center of incision to outer margin of dressing. Avoid wrapping tape around extremity. Can impair or occlude circulation to wound and to distal portion of extremity. Inspect wound regularly, noting characteristics and integrity. Note patients at risk for delayed healing (presence of chronic obstructive pulmonary disease (COPD), anemia, obesity or malnutrition, DM, hematoma formation, vomiting, ETOH (alcohol) withdrawal; use of steroid therapy; advanced age.) Early recognition of delayed healing or developing complications may prevent a more serious situation. Wounds may heal more slowly in patients with comorbidity, or the elderly in whom reduced cardiac output decreases capillary blood flow. Assess amounts and characteristics of drainage. Decreasing drainage suggests evolution of healing process, whereas continued drainage or presence of bloody or odoriferous exudate suggests complications (e.g., fistula formation, hemorrhage, infection). Maintain patency of drainage tubes; apply collection bag over drains and incisions in presence of copious or caustic drainage. Facilitates approximation of wound edges; reduces risk of infection and chemical injury to skin and tissues. Elevate operative area as appropriate. Promotes venous return and limits edema formation. Note: Elevation in presence of venous insufficiency may be detrimental. Splint abdominal and chest incisions or area with pillow or pad during coughing or movement. Equalizes pressure on the wound, minimizing risk of dehiscence or rupture. Caution patient not to touch wound. Prevents contamination of wound. Cleanse skin surface (if needed) with diluted hydrogen peroxide solution, or running water and mild soap after incision is sealed. Reduces skin contaminants; aids in removal of drainage or exudate. Apply ice if appropriate. Reduces edema formation that may cause undue pressure on incision during initial postoperative period. Use abdominal binder if indicated. Provides additional support for high-risk incisions (obese patient). Irrigate wound; assist with debridement as needed. Removes infectious exudate or necrotic tissue to promote healing. Monitor or maintain dressings: hydrogel, vacuum dressing. May be used to hasten healing in large, draining wound/ fistula, to increase patient comfort, and to reduce frequency of dressing changes. Also allows drainage to be measured more accurately and analyzed for pH and electrolyte content as appropriate. Risk for Ineffective Tissue Perfusion: At risk for decrease in the oxygen resulting in the failure to nourish the tissues at the capillary level. Demonstrate adequate perfusion evidenced by stable vital signs, peripheral pulses present and strong; skin warm/dry; usual mentation and individually appropriate urinary output. Change position slowly initially. Vasoconstrictor mechanisms are depressed and quick movement may lead to orthostatic hypotension, especially in the early postoperative period. Assist with range-of-motion (ROM) exercises, including active ankle and leg exercises. Stimulates peripheral circulation; aids in preventing venous stasis to reduce risk of thrombus formation. Encourage and assist with early ambulation. Enhances circulation and return of normal organ function. Avoid use of knee gatch and/or pillow under knees. Caution patient against crossing legs or sitting with legs dependent for prolonged period. Prevents stasis of venous circulation and reduces risk of thrombophlebitis. Assess lower extremities for erythema, edema, calf tenderness (positive Homans’ sign). Circulation may be restricted by some positions used during surgery, while anesthetics and decreased activity alter vasomotor tone, potentiating vascular pooling and increasing risks of thrombus formation. Monitor vital signs: palpate peripheral pulses; note skin temperature/ color and capillary refill. Evaluate urinary output/time of voiding. Document dysrhythmias. Indicators of adequacy of circulating volume and tissue perfusion or organ function. Effects of medications or electrolyte imbalances may create dysrhythmias, impairing cardiac output and tissue perfusion. Investigate changes in mentation or failure to achieve usual mental state. May reflect a number of problems such as inadequate clearance of anesthetic agent, oversedation (pain medication), hypoventilation, hypovolemia, or intraoperative complications (emboli). Administer IV fluids or blood products as needed. Maintains circulating volume; supports perfusion. Apply antiembolitic hose as indicated. Promotes venous return and prevents venous stasis of legs to reduce risk of thrombosis. Verbalize understanding of condition, effects of procedure and potential complications. Review specific surgery performed and procedure done and future expectations. Provides knowledge base from which patient can make informed choices. Review and have patient or SO demonstrate dressing or wound and tube care when indicated. Identify source for supplies. Promotes competent self-care and enhances independence. Review avoidance of environmental risk factors: exposure to crowds or persons with infections. Reduces potential for acquired infections. Discuss drug therapy, including use of prescribed and OTC analgesics. Enhances cooperation with regimen; reduces risk of adverse reactions and/or untoward effects. Identify specific activity limitations. Prevents undue strain on operative site. Recommend planned or progressive exercise. Promotes return of normal function and enhances feelings of general well-being. Schedule adequate rest periods. Prevents fatigue and conserves energy for healing. Review importance of nutritious diet and adequate fluid intake. Provides elements necessary for tissue regeneration or healing and support of tissue perfusion and organ function. Encourage cessation of smoking. Smoking increases risk of pulmonary infections, causes vasoconstriction, and reduces oxygen-binding capacity of blood, affecting cellular perfusion and potentially impairing healing. Identify sign and symptoms requiring medical evaluation, e.g., nausea and/or vomiting; difficulty voiding; fever, continued or odoriferous wound drainage; incisional swelling, erythema, or separation of edges; unresolved or changes in characteristics of pain. Early recognition and treatment of developing complications (ileus, urinary retention, infection, delayed healing) may prevent progression to more serious or life-threatening situation. Stress necessity of follow-up visits with providers, including therapists, laboratory. Monitors progress of healing and evaluates effectiveness of regimen. Include SO in teaching program or discharge planning. Provide written instructions and/or teaching materials. Instruct in use of and arrange for special equipment. Provides additional resources for reference after discharge. Promotes effective self-care. Identify available resources: home care services, visiting nurse, outpatient therapy, contact phone number for questions. Enhances support for patient during recovery period and provides additional evaluation of ongoing needs and new concerns. Fatigue—increased energy requirements to perform activities of daily living, states of discomfort. Infection, risk for—broken skin, traumatized tissues, stasis of body fluids; presence of pathogens/contaminants, environmental exposure, invasive procedures. Self-Care deficit/Home Maintenance Management, impaired—decreased strength/endurance, pain/discomfort, unfamiliarity with neighborhood resources, inadequate support systems. Refer also to appropriate plans of care regarding underlying condition/specific surgical procedure for additional considerations.